Magic at the rockpool was created for an exhibition with the theme titled Fishy Business. I worked from my trip to Broome in W.A. 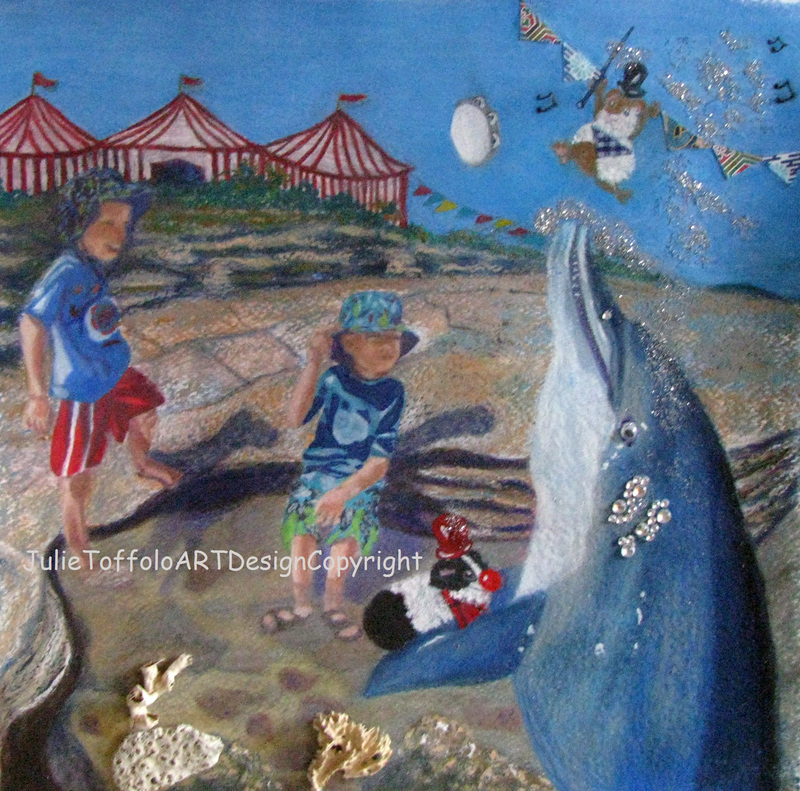 and had fun playing with children and pets and tried to convey a fun childlike circus theme.